People in Japan both young and old love insects. Boys in particular are especially fascinated by them. Insects are seen as cool with almost hero-like status, which makes them popular pets. Let’s take a look at the seven most popular insects in Japan and what makes them so popular. Grasshoppers have been popular in Asian cultures for centuries. The Japanese cherish grasshoppers and have a long tradition of enjoying their beautiful calls, both in the wild and as pets. 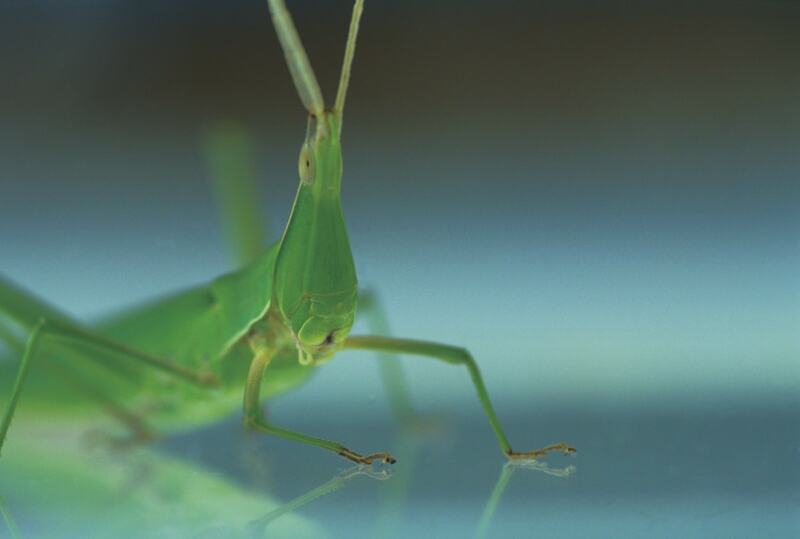 In Japan, the grasshopper is a symbol of good luck with many young Japanese catching grasshoppers and keeping them as pets for luck. Butterflies are very popular insects in Japan and are symbols of springtime and marital bliss. They are popular motifs on kimono, yukata (light summer kimono) and clothing as they are believed to bring joy and happiness. Powerful samurai clans also used butterfly crests, known as chou mon, as well as wore them proudly on their armor, banners and weaponry. There are around 327 species of butterflies in Japan that vary from the warm subtropics of the southern islands to the cool temperate climate of the north. Cicada may be the annoying sound of summer to many foreigners in Japan, but to the Japanese, these alienesque insects are the "bee’s knees." Popular due to their summer singing, which is a symbol of summer that conveys the heat of the season, there are over 30 different species of cicada in Japan and they can be found everywhere, singing their songs in the summer, even in downtown areas of large cities like Tokyo or Osaka. Stag beetles are very popular pets in Japan, with many children collecting them for fun. The Japanese name kuwagata comes from the stylized horns of a samurai helmet and it's this connection to samurai that makes the bug extremely popular. They make a great pet in Japan as they take up little space in small Japanese dwellings. You can find around 39 varieties of stag beetles in Japan alone! Firefly viewing (hotaru gari) is an extremely popular pastime in the early summer in Japan. The firefly peak occurs at the beginning of June and marks a period of seasonal change from spring to summer for the Japanese. These beloved bugs are almost like floating lanterns illuminating the night sky, and are admired for their fragility and short-lasting beauty, much like the cherry blossoms in spring. Dragonflies have been popular since the age of the samurai, where they were known as katchimushi (victory bugs) due to the fact that can only fly forward (no retreat). This made them a popular symbol and emblem of the samurai, who respected the fact they always advance—like a good samurai. Samurai used dragonfly motifs on their armor, clothing and weapons in hope of success in battle. The Japanese rhinoceros beetle, known as kabutomushi in Japanese, is the “King of Insects” in Japan due to its popularity. The name says it all really! Kabuto is the Japanese word for a samurai helmet, while mushi means bug, so the literal meaning is "samurai helmet bug." Pretty cool, right? These insects, known for their strength and power, have been popular in Japanese anime, advertisements, movies and television for many years. 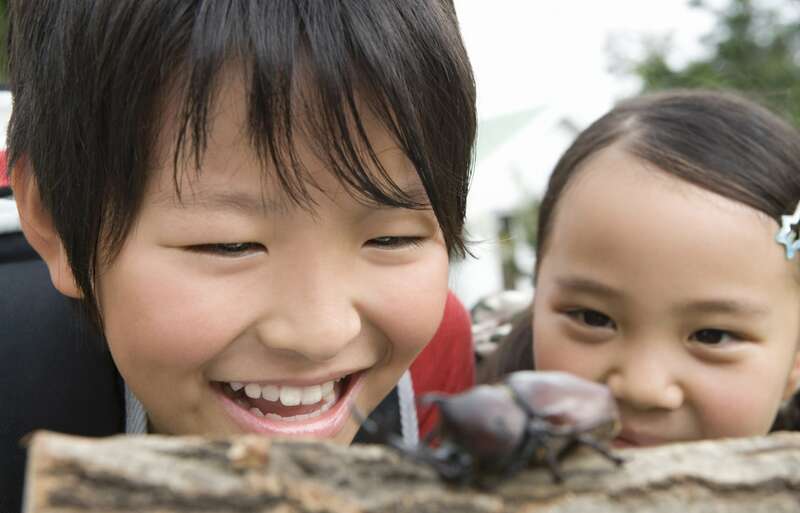 Many children in Japan buy or catch rhinoceros beetles and breed them for fun, as they typically cost around ¥500 to ¥1,000 (US$5-10).